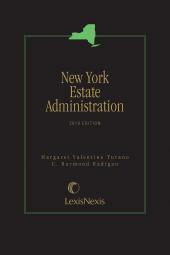 A concise and fully updated reference guide to administering an estate in New York State. 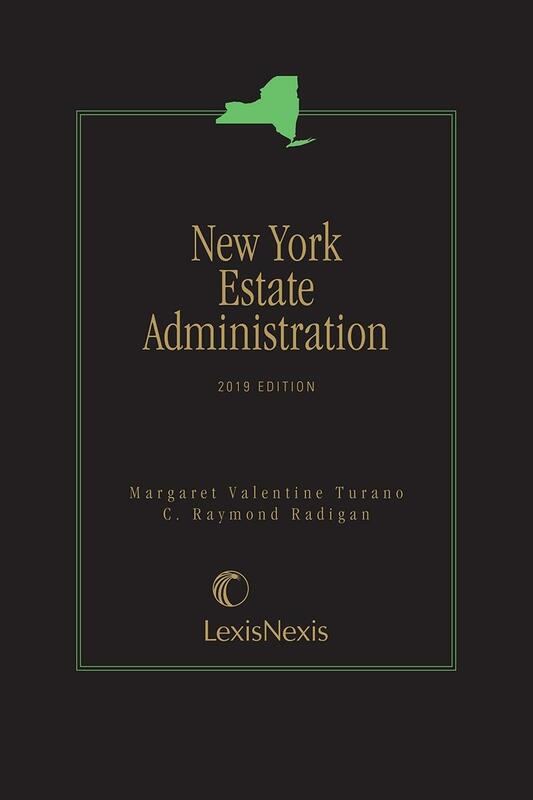 Don't miss this comprehensive guide to probate practice in New York, with the expertise of authors Margaret V. Turano, and Honorable C. Raymond Radigan and the high quality you expect from LexisNexis. Margaret V. Turano is a Professor of Law at St. John's University School of Law. 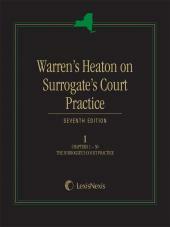 She has written articles in the area of Law and Literature and supervises the Writing Center at St. John's Law School. 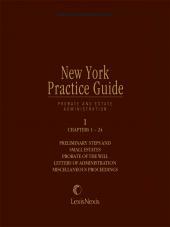 Professor Turano teaches Law & Literature, Trusts & Estates, Estate Planning and Estate & Gift Taxes. Before joining the law school faculty, she practiced with Paul, Weiss, Rifkind, Wharton & Garrison in the Trusts and Estates department. Hon. 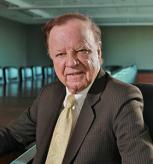 C. Raymond Radigan, retired Nassau County surrogate, serves as counsel to the Trusts & Estates Department of Ruskin Moscou Faltischek, P.C., Uniondale, New York, and chair of the firm's Mediation Solutions Group. 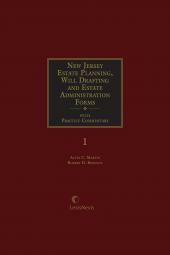 His practice focuses on estate and trust litigation, estate administration, and estate planning.